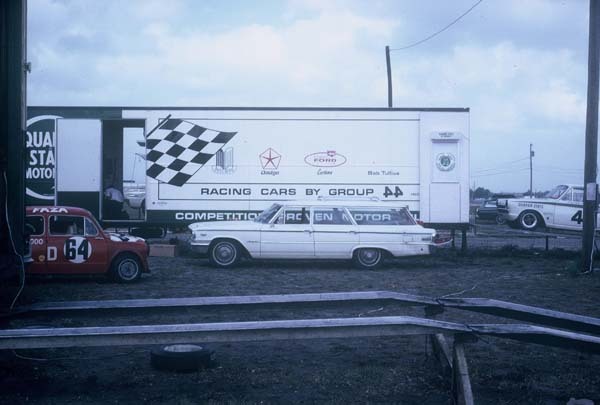 "Recall this all started with the discussion of a Tullius- campaigned Cortina, so the relevant shot is of the LoCort on the Tullius transporter (with English Ford Line logo on the side of transporter) in the Sebring paddock, in 1967. Tony Adamowicz is the listed driver of the Group 44 Lotus Cortina for that race, for that year." 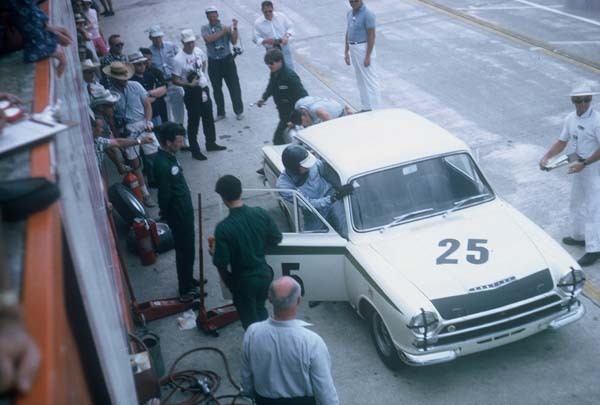 "Don't know anything about the Cortina GT being refueled at Sebring in 1965; The only Sebring program from this era that I don't have is 1965, so I can't ID the #27 car. maybe someone on the list does?" "And, of course, you can't have too many Jim Clark with Cortina shots can you? Also at Sebring, 1965." "We moved to Florida in late 1956 and my father discovered sports cars there. As a result, we attended every Sebring race from 1958 through 1970. 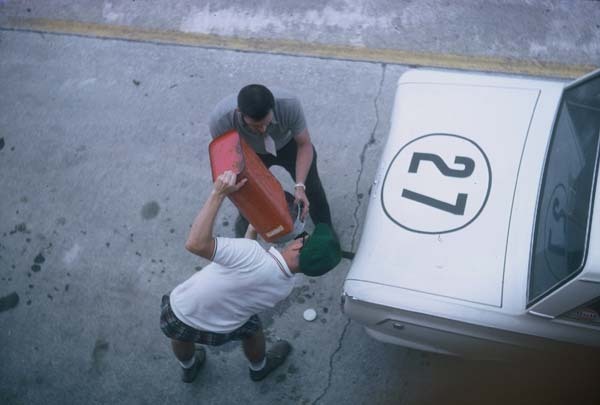 In 1965 we had a box seat above the pits, which was great viewing and resulted in a lot of interesting photos taken from above, during pit stops. These were truly the golden years of sports car racing, and very memorable times spent with my father doing something we both loved."